A restful retreat away from Kuching downtown, this refined newcomer brings stylish to this out-of-centre part of town. At 56 Hotel Kuching, you have a place to sleep with comfort, a bit out-of-centre area, away from the action for a bit of peace and quiet, but close enough to government offices, medical centres shopping malls International University, Colleges and Kuching International Airport are all approximately less than 10 minutes away by car during low-traffic hours. 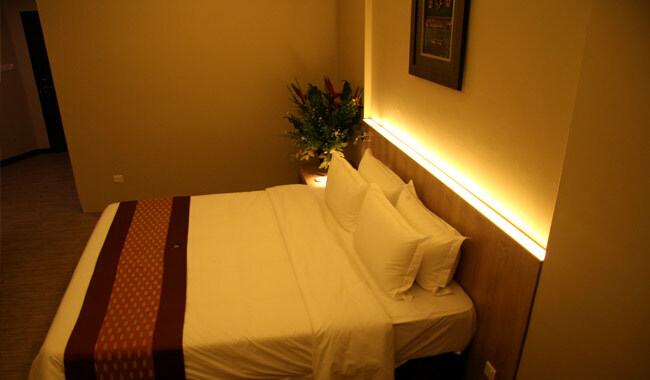 56 Hotel is within easy access to banks and local eateries corner. Strategically located in the business district, hotel subtly combines business and leisure.